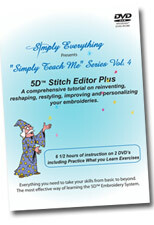 Diana and Kothy continue their winning style with "Simply Teach Me" Vol 5. 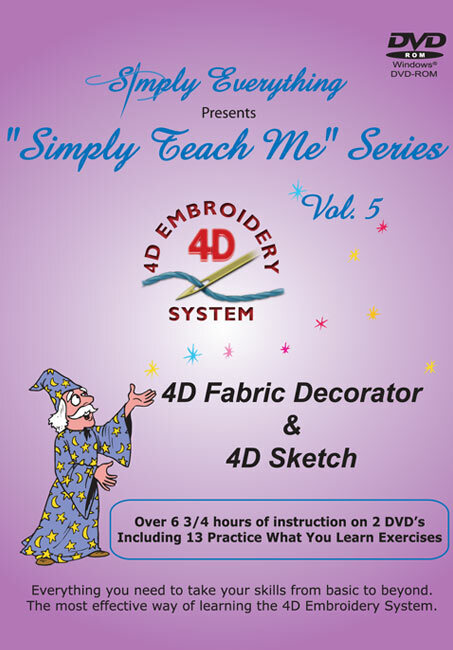 This comprehensive and detailed instruction of 4D Fabric Decorator will take you from basic to the next level in easy to understand steps. 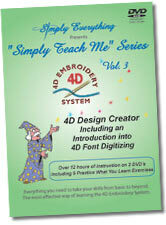 You will learn about creating, using and altering Motifs. 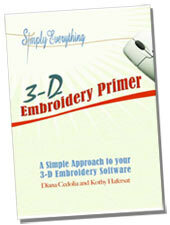 Embellishing fabric with motifs and using the motifs in other modules. 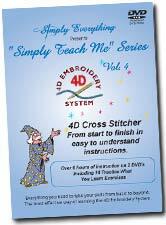 In 4D Sketch you will learn about embroidering your own free motion designs! Add texture and machine motifs to your pictures. 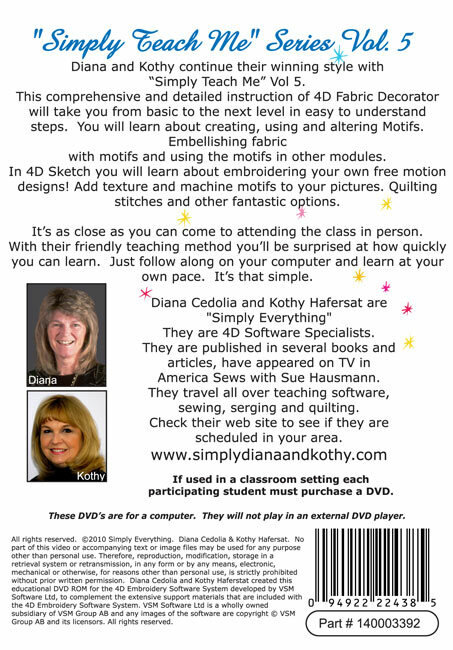 Quilting stitches and other fantastic options.